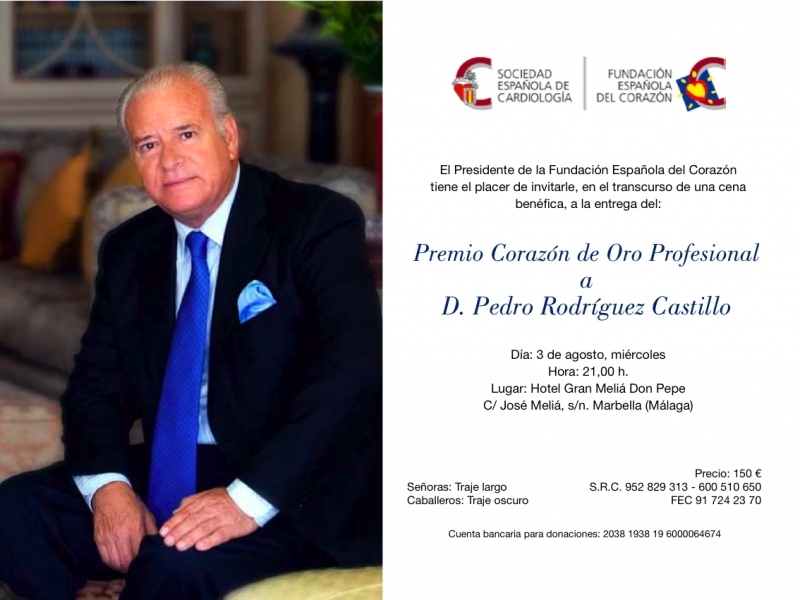 Charity Dinner Spanish Heart association will celebrate their Gala in Hotel Grand Melia Don Pepe Marbella on 3rd of August. Charity Dinner Spanish Heart association will celebrates their Gala in Hotel Grand Melia Don Pepe Marbella on 3rd of August. 150 euro per person and the cocktail starting at 21:00.